For those of you in the autism community or those who are interested in vaccines and their affects in general, please read this article published in the UK today. 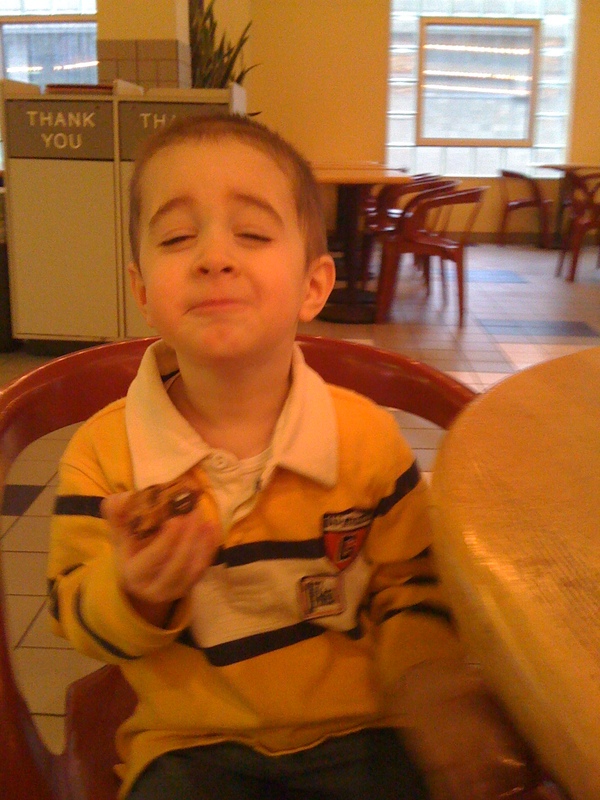 I have been following Dr. Wakefield ever since Gavin was diagnosed in 2007. This man has done nothing wrong but tell the truth and there are so many who are trying to silence him and his findings. This is yet another shadow of the fallen world in which we live. It deeply saddens me. My parents and I spent this past weekend painting baby girl’s nursery for my sis and Chris while they lounged poolside in Cabo (yeah, don’t we feel sorry for them???) That left daddy to entertain the 3 little men for an entire Saturday. Because it’s been THE. LONGEST. WINTER. EVER, and because we had spent 3 solid days inside already, we knew that he had to do something fun. The play place at the mall is not usually an option for me (I’m a germaphobe when it comes to stuff like that-especially in the winter). 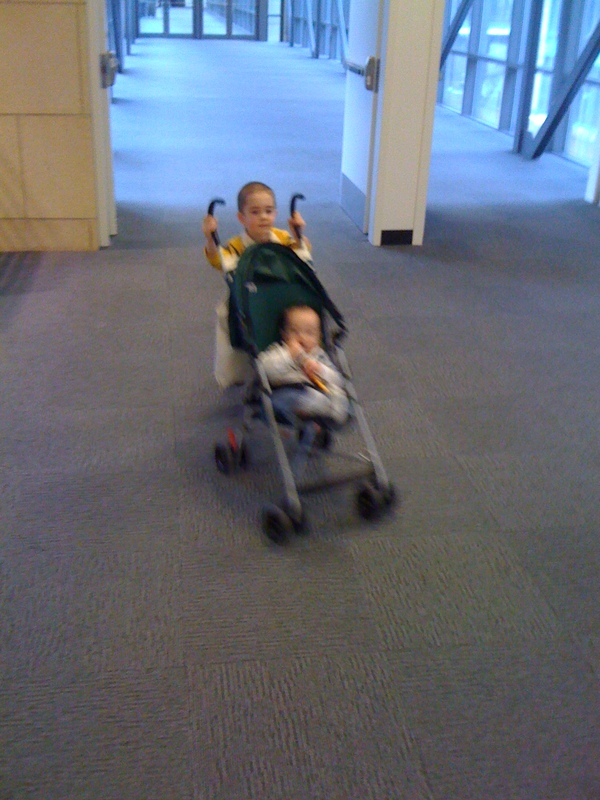 Plus, those kinds of places are usually way too overwhelming for Gav. Then Josh had a BRILLIANT idea. 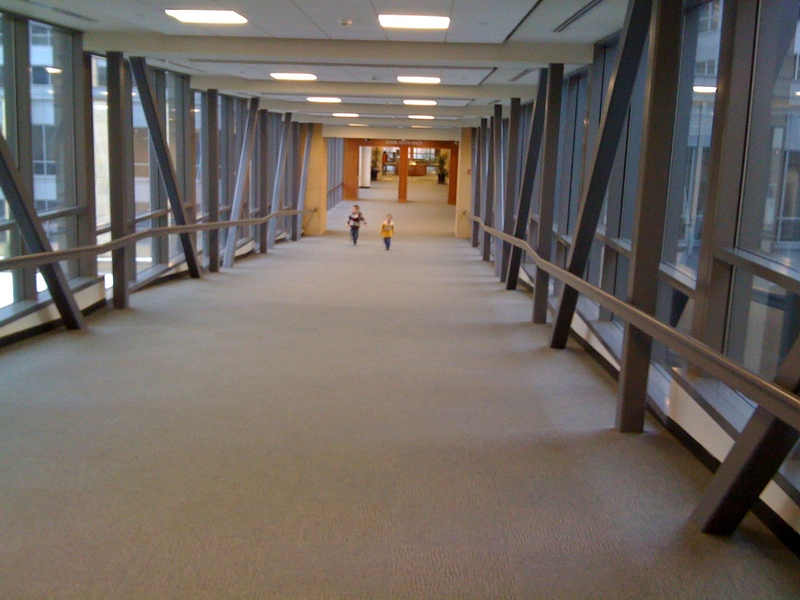 The skywalks!!! Our city has one of the best skywalk systems around. You can get almost anywhere downtown without going outside. And, because we live where we do, our downtown is pretty much a ghost town on the weekends. Perfect (well, not perfect, we wish there was a whole lot more, but in this case it was perfect). 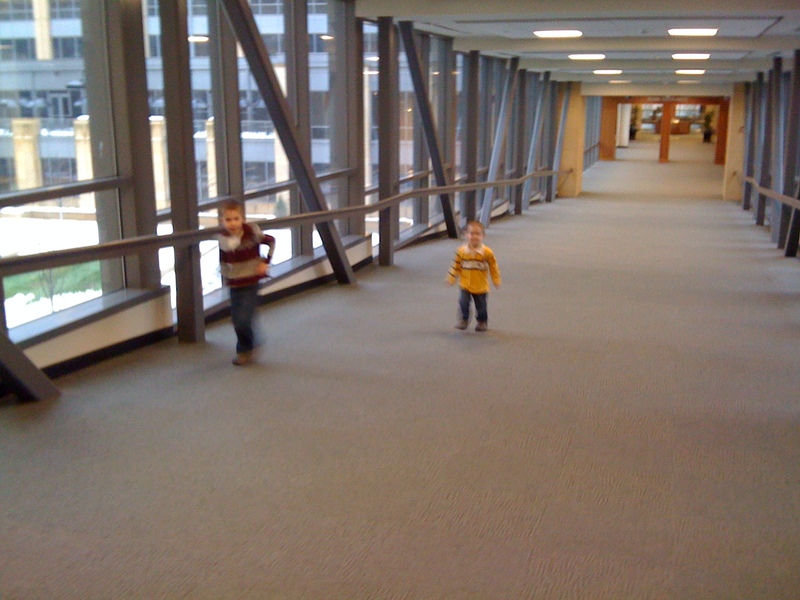 The boys could be loud, let out their energy, but still be inside (and not get germy!) 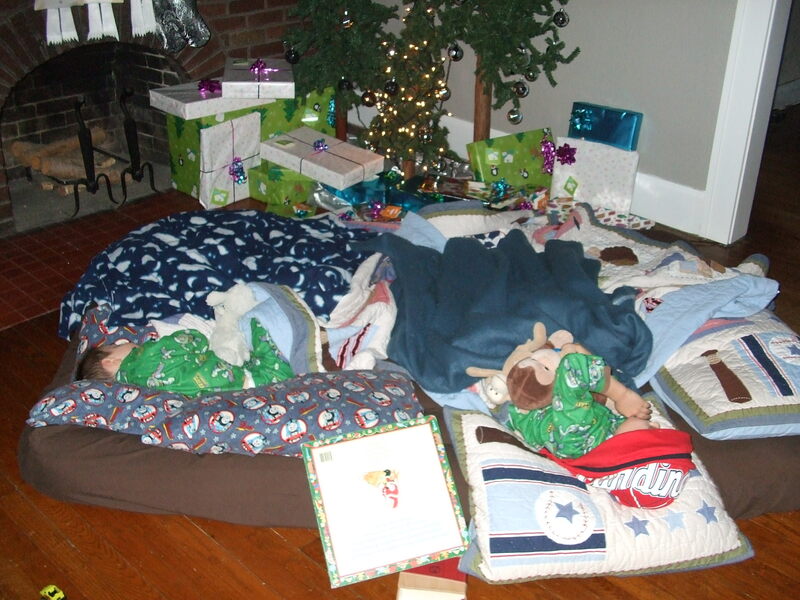 Fortunately daddy captured the fun they had….. 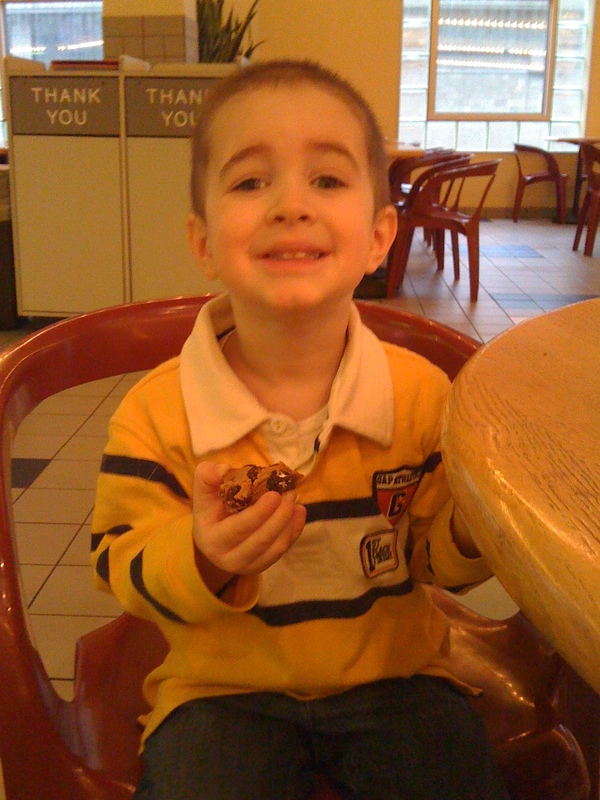 Stopping for a little snack……..Tate had fish. I’m just really thankful that my boys are easily amused and find (free) stuff like this exciting! 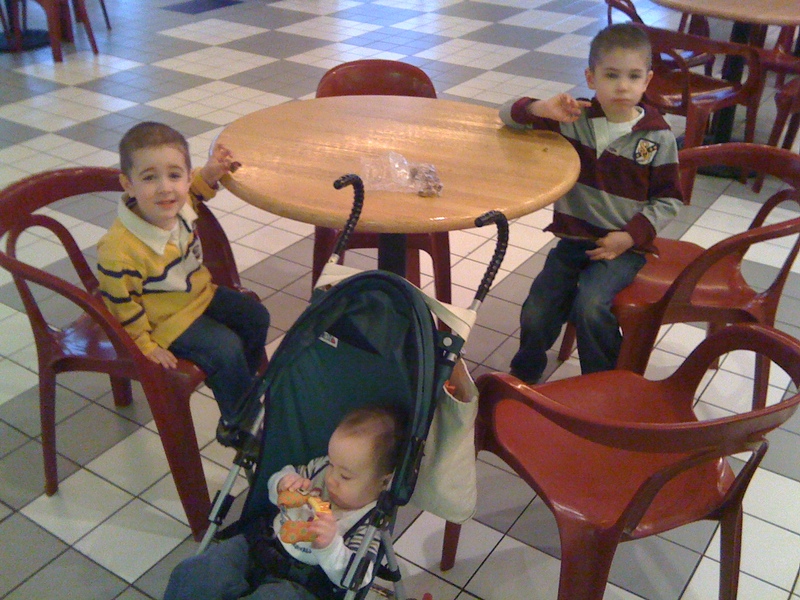 Maybe I should leave the boys with daddy EVERY Saturday………. On February 6th (7pm central time), HBO will be airing an original film about the life of Temple Grandin starring Claire Danes. If you’ve been following my blog for any length of time, you’re familiar with Temple Grandin. She’s an autistic adult who holds her PhD in Animal Science, has developed humane livestock equipment, and has written several books both on the topic of animal treatment AND her autism. She’s an amazing individual and I’m guessing this will be a pretty cool film. Sadly, we do not have HBO, but hopefully it will be available online or on dvd soon! Back in November, the week of Thanksgiving, we received a thick packet in the mail from DHS telling us is was time to update Gavin’s Title 19 for 2010. (Remember last year when Gavin received the new Title 19 for children with special needs which covers ALL of his therapies and medical expenses?) The problem with this packet was that it was all the same stuff I had filled out the year before. Not much has changed, but apparently we have to do this every year. UGH. On top of it being a holiday week, the deadline to have it turned in was 7 DAYS from the day I received it. Deadlines like this always put me in a panic. I had to fill out 10 pages of paperwork, plus attach copies of our income, bank statements, investments, etc. I frantically gathered all this info, and stuck it in the mail with one day to spare. Whew! WELL……. two days before Christmas, I received a letter from DHS stating that Gavin’s Medicaid had been canceled as of January 1st because I had failed to submit one of the needed forms. WHAT??? I cannot begin to describe how I felt except to say that I’m pretty sure I had a panic attack. I think my heart stopped for a moment too. One stinkin form forgotten and my son no longer has therapies paid for. I did quick math in my head ($325 A WEEK) and knew that we would not be able to continue on at ChildServe. What were we going to do? Why hadn’t my case worker let me know a form was missing so I could turn it in? I would have dropped everything and taken it to him personally right then and there. I thought he was supposed to HELP us. I could feel my blood pressure rising and I started to get ticked. Why hadn’t I been informed I was missing something? Why was I only given a WEEK to get all my stuff turned in(especially during a holiday)? At this point, I’m beyond angry. How can they do this to Gavin????? I immediately called my case worker and of course got his voice mail (he’s also notorious for never returning calls). Great. I have two days until Christmas to get this straightened out and one more week after Christmas of paid therapies. I managed to leave a fairly calm message on the guy’s machine but told him specifically that this CANNOT be canceled and that he had better call me back….TODAY (pretty sure my message sounded like I was crazy). And 10 minutes later he did. “Oh, that was a mistake. That letter shouldn’t have gone out. Sorry.” WHAT???????? I just had a major meltdown and you tell me it was a mistake???? Oh government agencies. So efficient. I don’t even think I said anything but thank you and goodbye. I had seriously had such a crazy range of emotions within the span of an hour that I was exhausted after that phone call. That’s it. It was a mistake. Gav’s covered all 2010. Ok……breathe. Today I received the OTHER letter in the mail. The one Iwas supposed to get the first time. Wow these last few weeks flew! I had every intention of doing a cute little pre-Christmas post, but since it is now halfway through the first week of January, I’ll just give you a synopsis of the last few weeks. 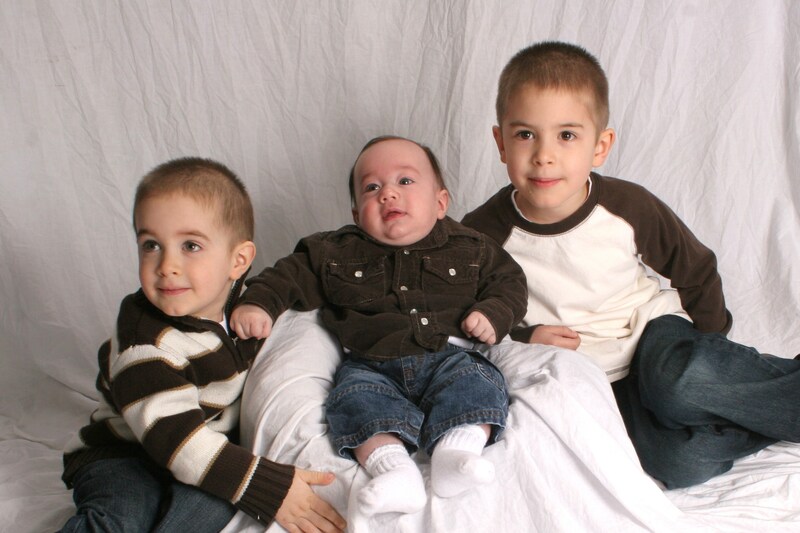 Family pictures taken. UGH. 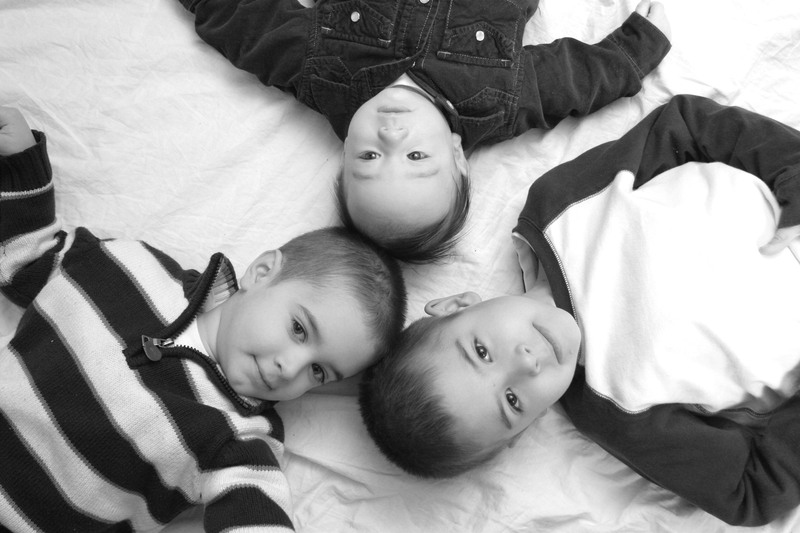 So hard to get three little guys to all do the same thing for over an hour. But we did manage to get some cute shots. 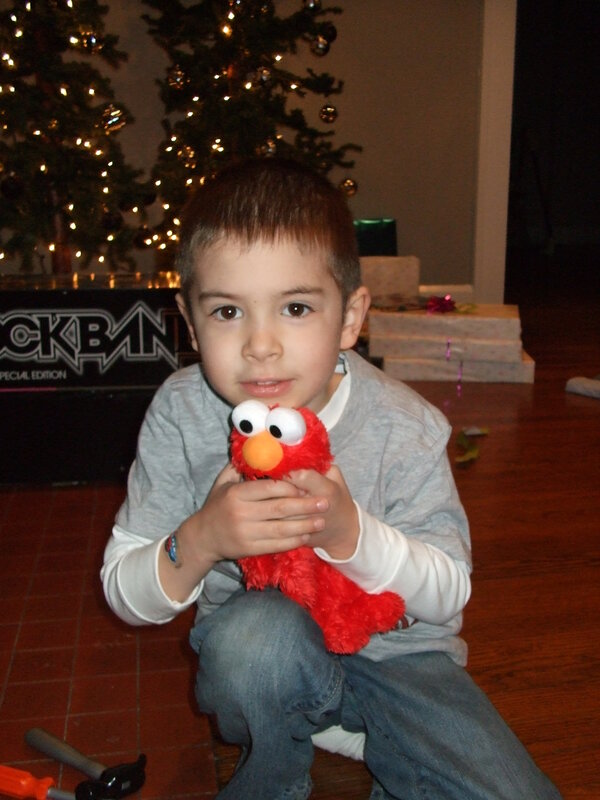 All Gavin wanted was an Elmo for Christmas. 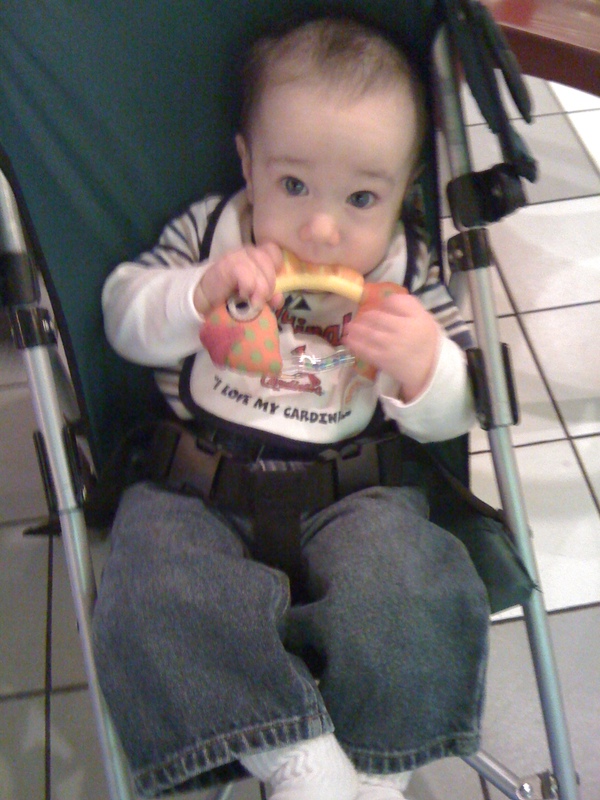 He hasn’t put it down since! This is guitar #2. (What is it with Liam and replacement toys?) The first guitar we had got sat on and the neck broke in half. 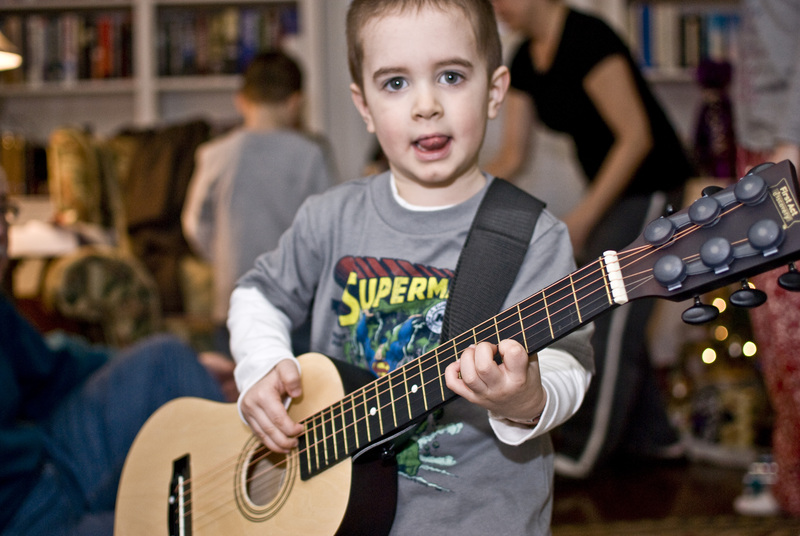 Our little rock star was THRILLED and serenaded us the rest of the morning…. He’s funny because he remembers about every 5th word in songs. He usually lets Gav sing and then fills in where he can. As you can see, he’s pretty good at medleys. Gav got a bike. A big kid bike. The most awesome thing at our house lately has been that Gav has recently learned to ride. 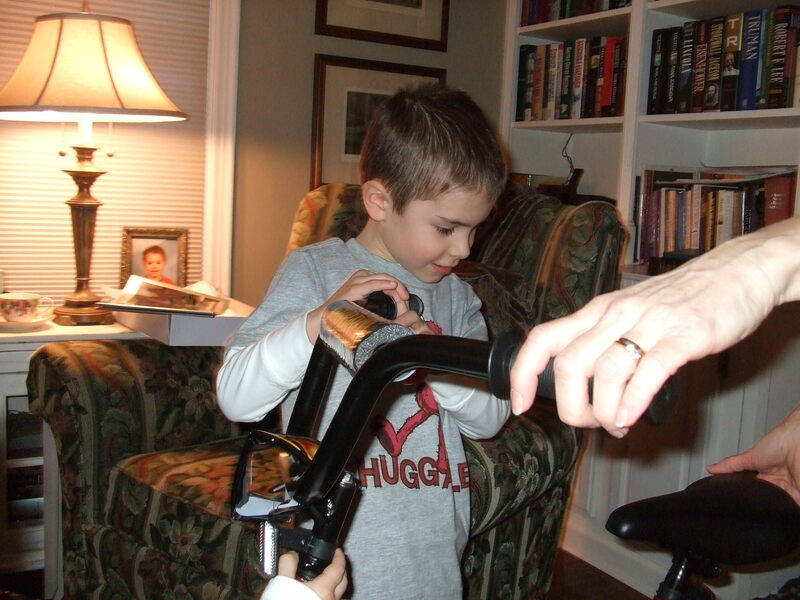 Every therapy session at ChildServe ends with him working on pedaling and steering simultaneously (he couldn’t do both at the same time for a while) and one day it just clicked and he rode clear down the hallway! His therapists were amazed and now he likes to wow everyone by riding one handed. 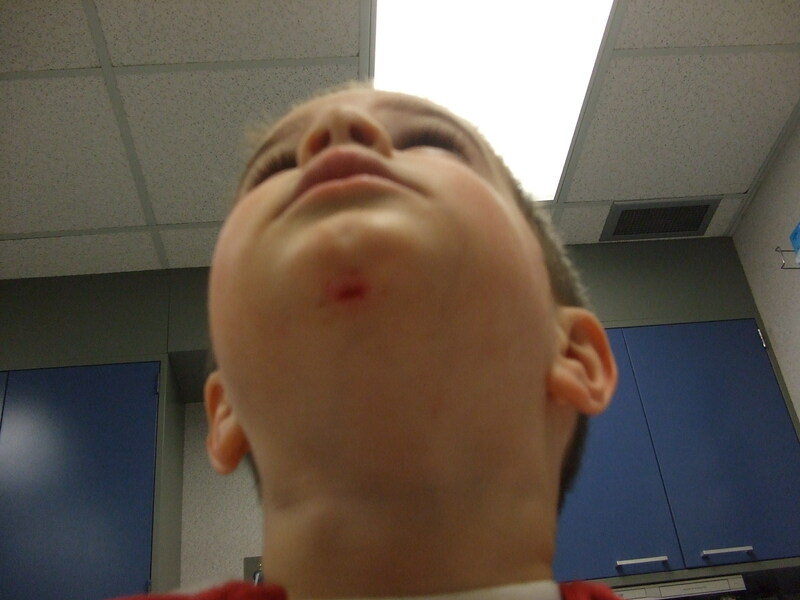 AND…on Christmas night, Liam fell on a toy (an old toy we’ve had forever-it wasn’t even a new one), sliced his chin open, and had to go to the ER for glue. (He was also given a really cool truck by the staff, so now I’m afraid he’ll think to get hurt next Christmas so he can get another cool toy). 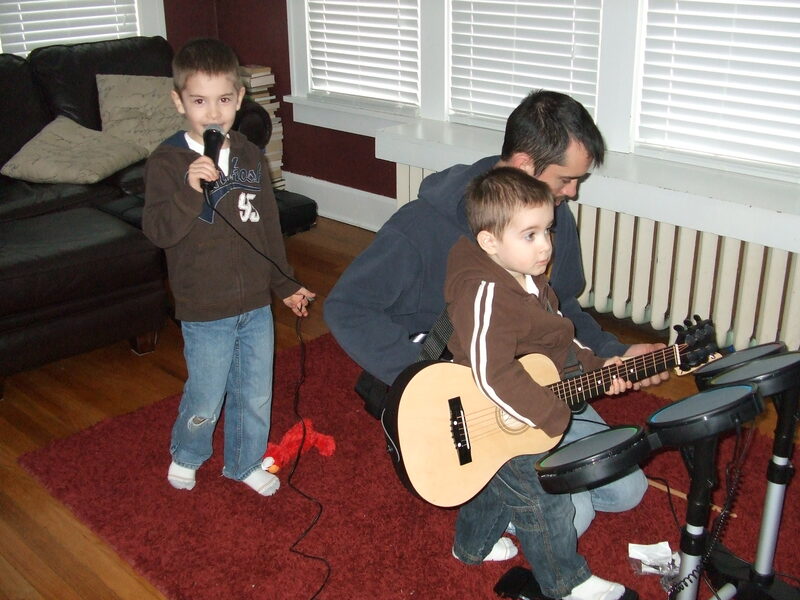 Our musical geniuses have been perfecting their skills on Rockband-watch out Jonas Brothers! And I’ve been frantically working on projects around our house. You can see what I’ve been up to here. BUT….it’s back to the grind now. We took 2 weeks off from Son-Rise to give Gav and our volunteers a break. With all the craziness of company, late nights, and super fun Christmases, Gav has not really been himself. I’m hoping that getting back into our routine and having our house calm again will help him recover quickly. We shall see!